see the 2 pictures on top? haha!! 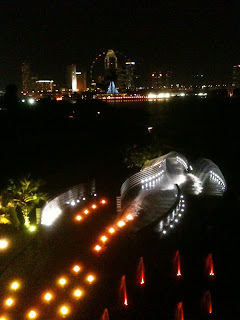 from marina barrage! i went there on last monday! like super nice right? 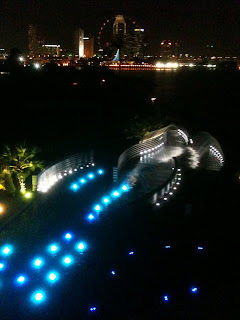 took some photos wif my iphone... a bit blur la.. but such a beautiful night, beautiful view... haha!! something beautiful muz happen right? haha!!! i guess so!!! so for pple who haven visit there, plz do find some time to go take a stroll or something... its amazing!!! 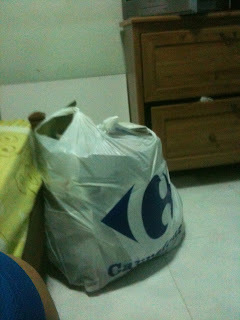 and now to the dirty part... haha... see this huge big bag??? this is what i did for spring cleaning... i cleared so much rubbish from my rm! my drawer! like god!!!! i didn't know i am keeping so much junk in my rm! haha.... i spend a good 6 hours clearing them la! haha... plz go thru ur stuff if u haven and clear out the junks b4 CNY!!!! 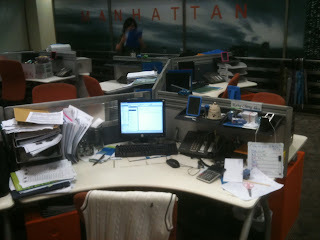 finally... showing u all my work desk in the bank... haha!!! b4 i clear them and bid goodbye... thou it looks just like any other normal desk.. but many many happy momeries are spent here la! i miss all my colleagues!!! really hope to meet up wif them sooN! PS: happily in "u know what"